The easiest way to get started! Schedule four group lessons at your convenience. As soon as you complete your fourth lesson, you qualify for a 2018/19 Unlimited Season Pass at no extra charge. Call 208-634-6631 to sign up and book your first lesson session! 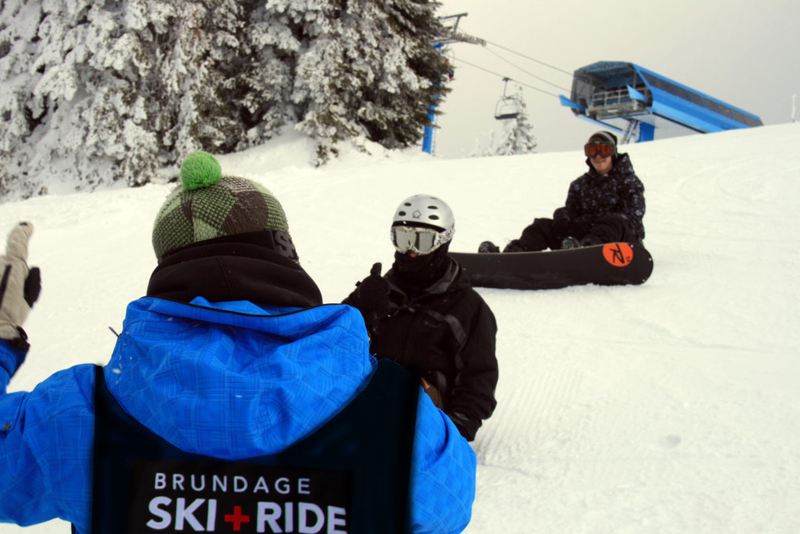 Please note: You must be a beginner skier/snowboarder who has never had a Brundage season pass to participate in this program. The 4×4 Learn to Ski/Ride Lesson Program is nontransferable. Lessons must be completed during the 2018/19 Winter Season as you are not able to rollover to future seasons. We have a 24-hour cancelation policy on all Ski & Ride School products. If you are not going to make your reserved lesson time, please let us know as soon as possible or you could be responsible for the full retail cost of the reserved lesson.